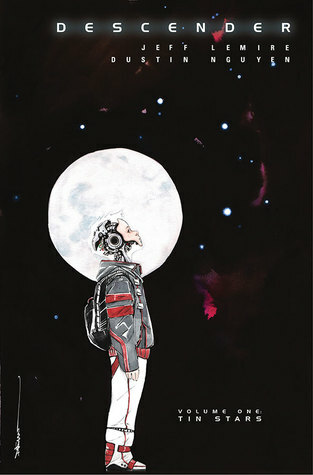 Descender is a science fiction comic series which takes place in a universe where all androids have been outlawed and are being rounded up by bounty hunters. Our story follows TIM-21 who is a young robot that suddenly comes back online after being asleep for 10 years, his creator, and the crew sent to find him. The story is wonderful, but the real standout is the art. Dustin Nguyen’s beautiful watercolor artwork is absolutely stunning. It adds so much heart to the story. There are currently 3 volumes published with the 4th volume expected July 2017. 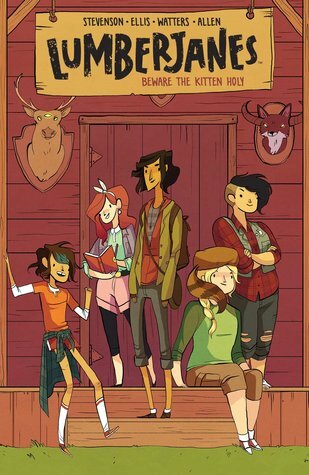 Lumberjanes is an amazing fun and fantastical middle grade comic series. It follows 5 best friends (Jo, April, Mal, Molly, and Ripley) on their adventures at Miss Qiunzilla Thiskwin Penniquiqul Thistle Crumpet’s camp for hard-core lady-types. The art is vibrant and fun – and each of the girls have a developed and unique personality. I especially love the diversity – Jo is trans and Molly and Mal definitely crushing on each other. This series just keeps getting better and better, and I can’t wait to see where it goes next. There are currently 5 volumes published with the 6th volume expected April 2017. 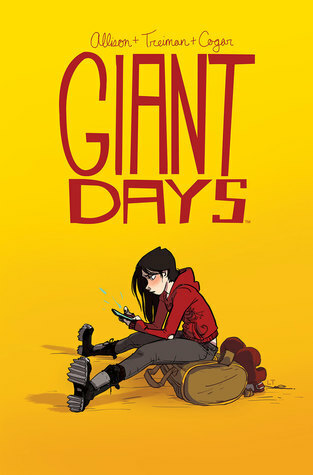 Giant Days is a slice of life comic which follows the antics of 3 fast friends who meet for the first time at university. Esther is a gothic beauty, Susan is a sarcastic cynic, and Daisy is a bundle of sunshine. We follow the girls as the navigate their coursework, new friendships, and old loves. The writing is witty and the illustrations of bright and cheery But, what I love so much about this series is the strong friendship that develops between these girls- the world needs more depictions of strong female friendships. There are currently 3 volumes published with the 4th volume expected March 2017. Chew follows detective Tony Chu. But, Tony Chu isn’t your ordinary detective. Tony is a cibopath which means that he gets psychic impressions from what he eats. So for example, if he eats an apple he can tell what grove the tree grew in, the pesticides that were used, and when it was harvested. This always works on the weird stuff he munches on the course of his duties – like murder victims. In the first volume, Tony begins working for the Special Crimes Division of the FDA to investigate their strangest cases. 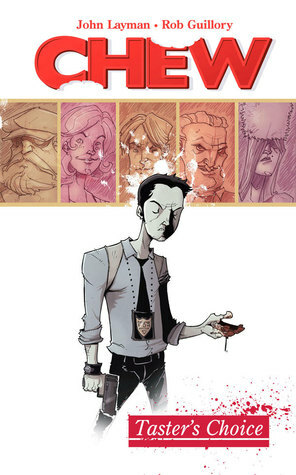 Chew is a completed 12 volume series. So if you are looking for a series you can marathon from start to finish – this may be the one for you. Ms. Marvel follows the story of Kamala Khan, a Pakistani-American Muslim teenager who suddenly finds herself with superpowers. This series manages to tackle some really important issues in a way that is very accessible to readers especially young girls. It is so important for girls to see themselves reflected in the media they are communing, and especially in a way that validates their feelings and identity. Wilson’s wonderful story is accompanied by Alphona’s beautiful art. Sadly, he doesn’t illustrate all the subsequent issues, but its still one of my favorite series. There are currently 6 volumes published with the 7th volume expected August 2017. Lumberjanes and Ms Marvel definitely sound like awesome comic series! Thank you for the post! I do want to try Ms Marvel sometime 🙂 have you tried Amulet or the manga Orange? I have read Amulet. Its a great middle grade comic series. I haven’t read the Orange manga – but I’ve heard lots of great things about it. Its definitely on my TBR. Cool. It’s nice that Orange is just two big bind up books; makes it easier than getting a ton of small volumes. Exactly! It seems much more accessible to people new to manga. I’ve really been wanting to read Ms. Marvel and I’ve heard great things about Lumberjanes as well, so this just seals the deal that I need to read it these titles. I just recently finished reading volume 2 of Saga which is a fantastic science fiction/fantasy epic and my current addiction. Seconds by Bryan Lee O’Malley is a pretty cute stand alone graphic novel. Thank you! And, I’m glad I’ve inspired you to pick up some of these titles. I hope you enjoy them as much as I did! I agree – Hazel’s narration just adds a level of heart to the story. I’m excited to see where it goes. I’m glad to find another Ms. Marvel fan. I hope you get to pick up the next volumes soon! I’ve been meaning to read “Ms. 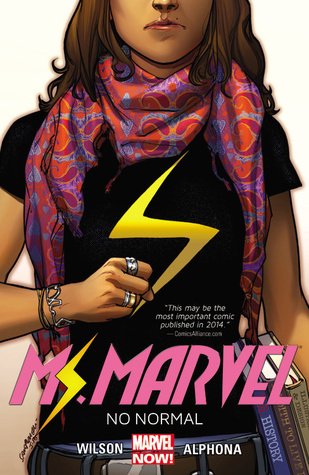 Marvel” for AGES — I’m not much of a Marvel fan, but the idea of a Muslim-American teenage superheroine is too awesome to pass on. I went to my local comic shop this weekend with this list of yours in mind and went ahead and got Giant Days. 🙂 I wound up having a really good conversation with the woman working there about several of the books on this list, actually. I am so glad I picked this little gem off the shelf. I feel like I must have devoured the first volume because I was eagerly turning the page to read the supposed next chapter and surely enough was confronted by the covers gallery. lol I was so bummed I didn’t have volume 2 on hand. That’s fantastic! I’m really glad that one of my recommendations helped you find something you really enjoyed. I was the same way with the first volume. It was so readable and you just fall in love with the characters. I couldn’t wait to get the next volume in may hands.